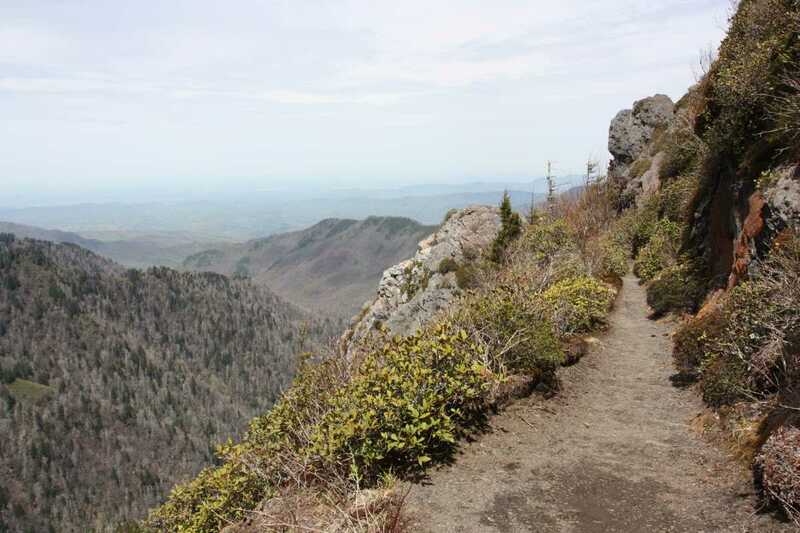 Hiking along the Appalachian Trail as well as the Tennessee and North Carolina State line, Charlies Bunion provides one of the best views in the Smokies while offering a moderate challenge for hikers. 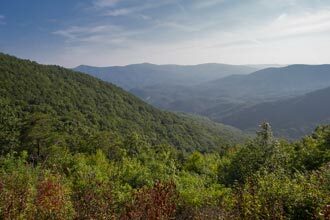 Even for those just driving through; stop off at the trailhead at Newfound Gap Overlook for incredible views without the sweat. 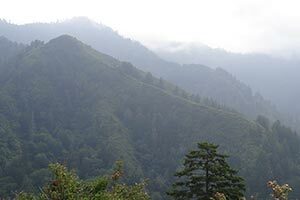 This hike begins at the Newfound Gap Overlook. This large parking lot can accommodate well over a hundred cars; however, on weekends can still fill up fast. 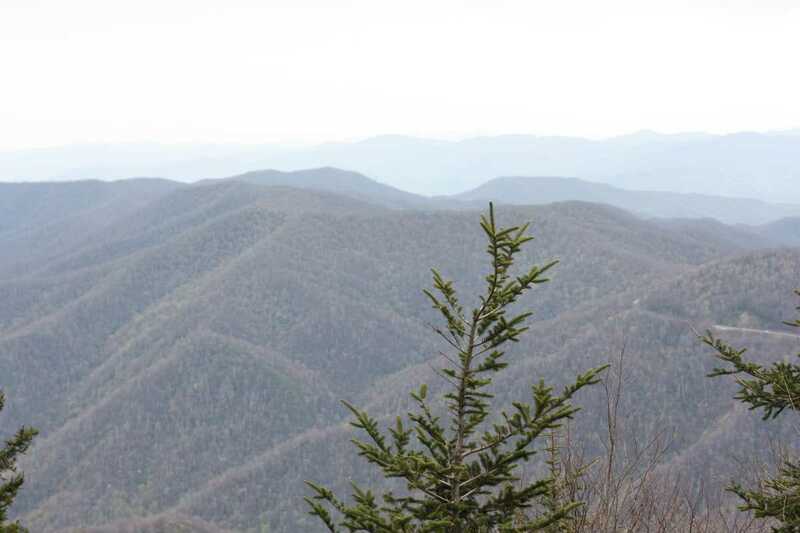 The expansive view from the overlook will tell you why this area is popular. On the north side of the parking lot are restrooms and the Appalachian Trail crossing. 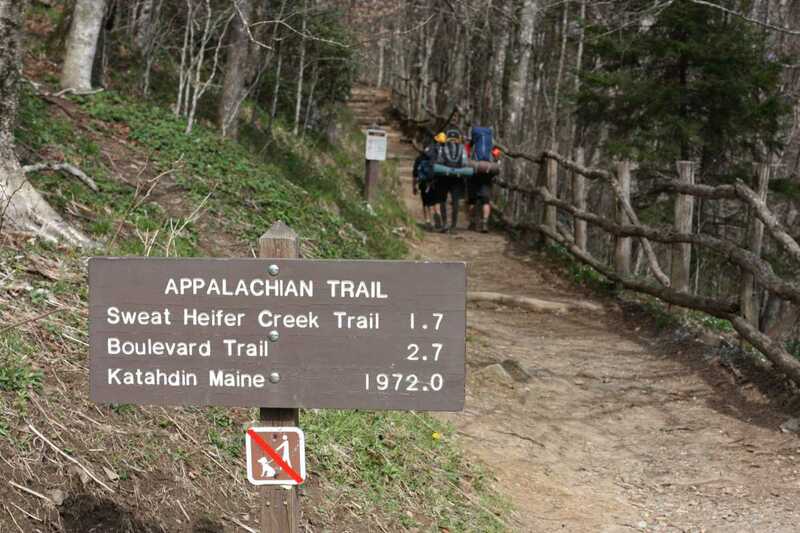 Although there may be a lot of people at the overlook, as you travel down the AT, the crowds will quickly vanish. 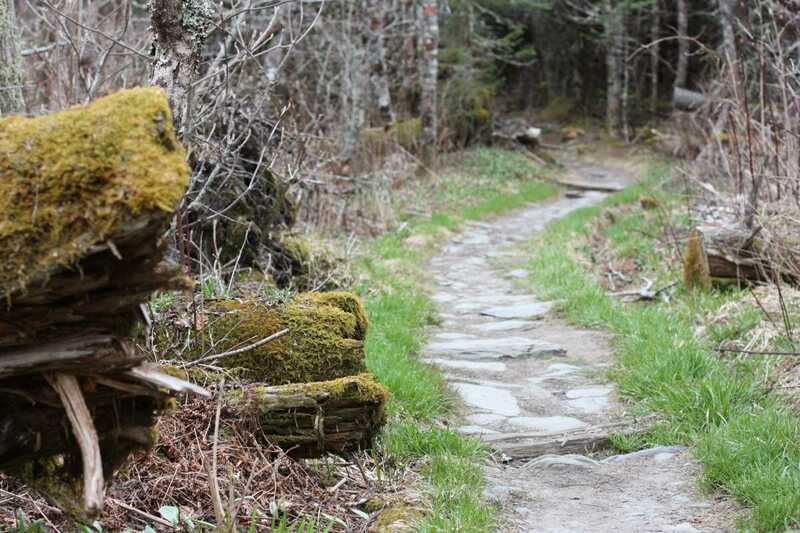 This is still one of the most popular hikes, so don’t expect to be alone. 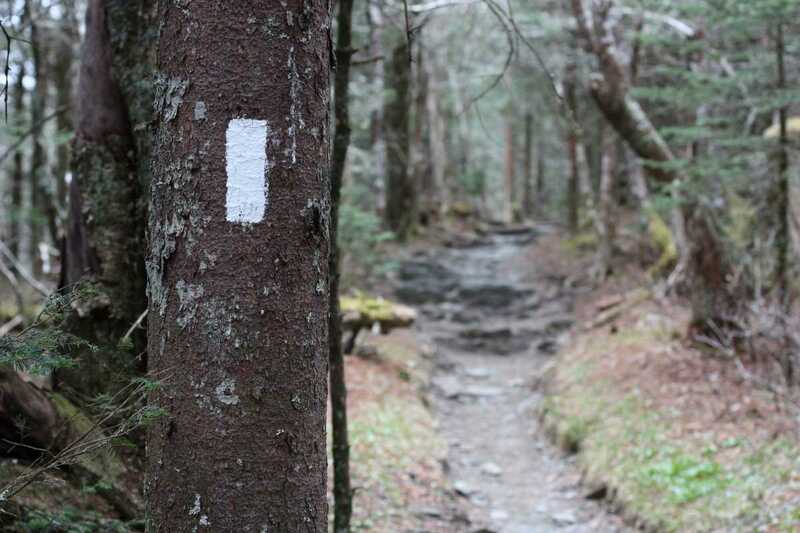 As with all trails in the Smokies, dogs are not allowed. Begin northbound on the AT heading east. The trail gets right to the point, gaining 800 feet over the first 1.5 miles. Along the way there are several stone and wooden flights of steps and large rocks to climb over and around. 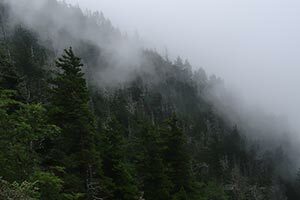 Every once and a while there will be a break in the trees, giving you excellent views to the southeast of the North Carolina mountains and US-441/Newfound Gap Road weaving its way through the terrain. Arrive at the junction with the Sweat Heifer Creek Trail at mile 1.6. A sign is clearly marks the way. 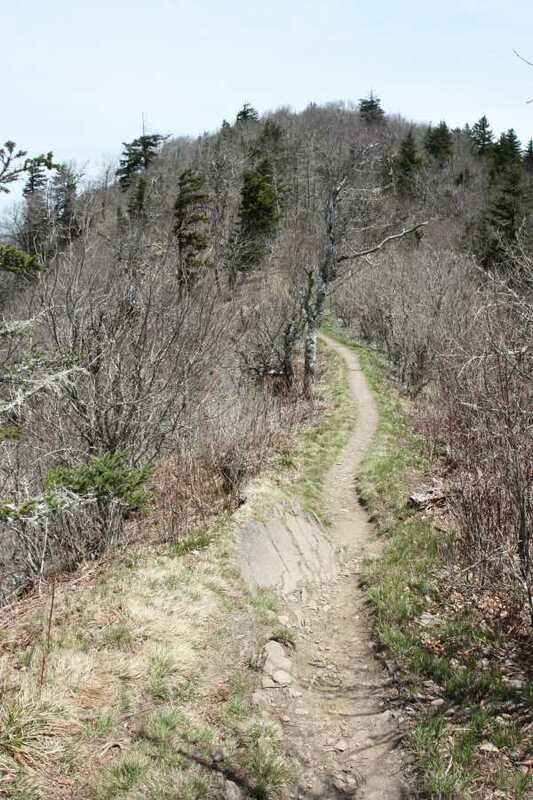 Continue straight along the Appalachian Trail. At mile 2.6, the AT comes to the junction with the Boulevard Trail. 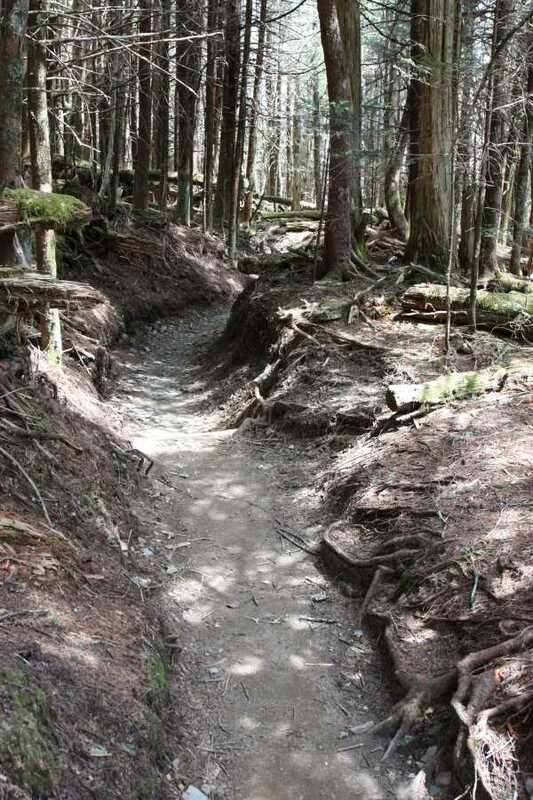 Taking this trail will lead you up to Mt. 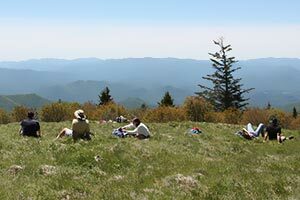 LeConte. If you take the Boulevard Trail a couple hundred feet, a short side trail will lead to excellent views at The Jump Off. 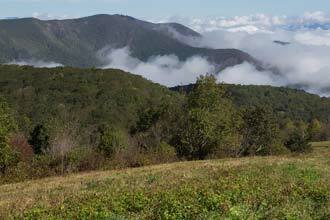 This optional secondary view will add .9 miles roundtrip to this hike. 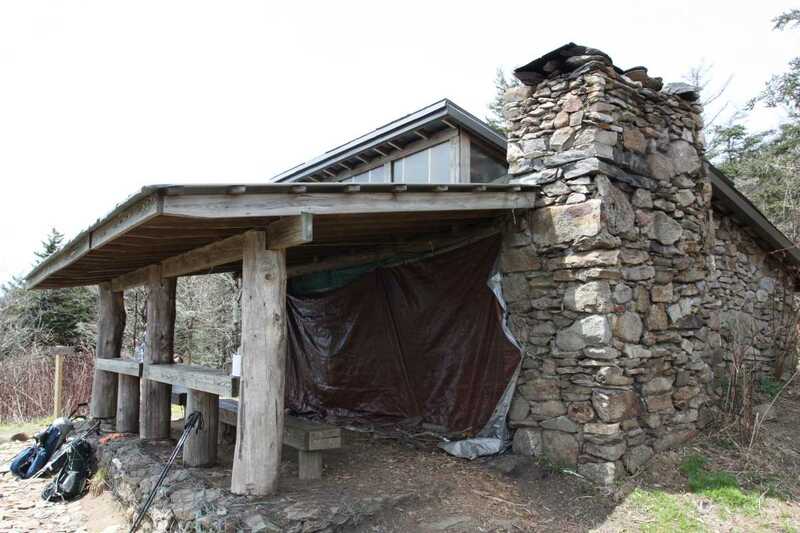 Just after this, another sign indicates the side trails for the Icewater Spring Shelter. Stop for a minute and enjoy the view from here. 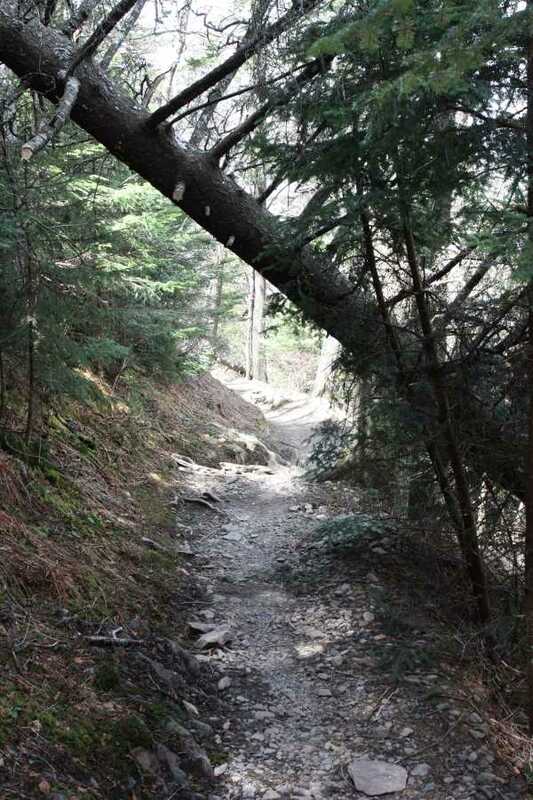 Continuing on, the trail descends steeply, at a rate of 700 feet/mile for the next half mile. This section is littered with lose rocks. 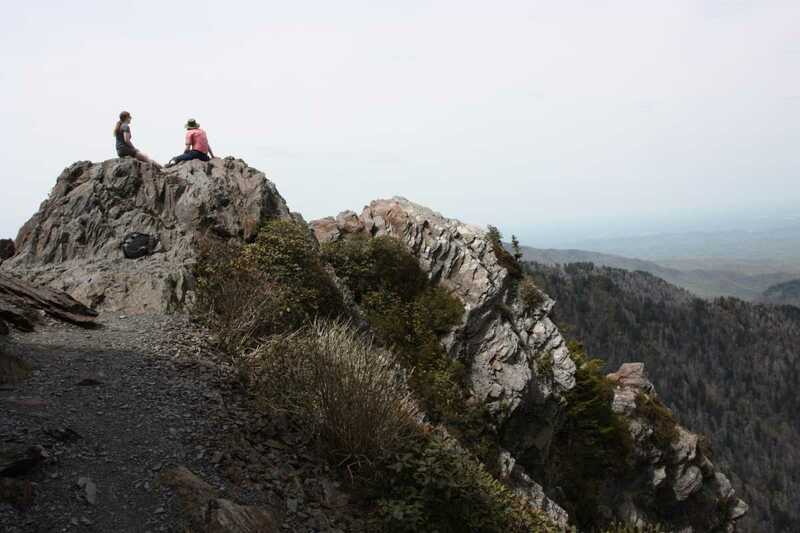 The last half mile before reaching Charlies Bunion is more scenic than the previous trail. 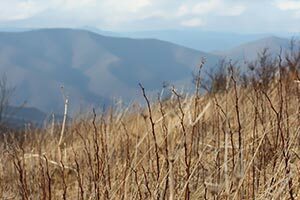 Staying mostly on the ridgeline, the trail opens up on both sides to provide at taste of what is about to come. 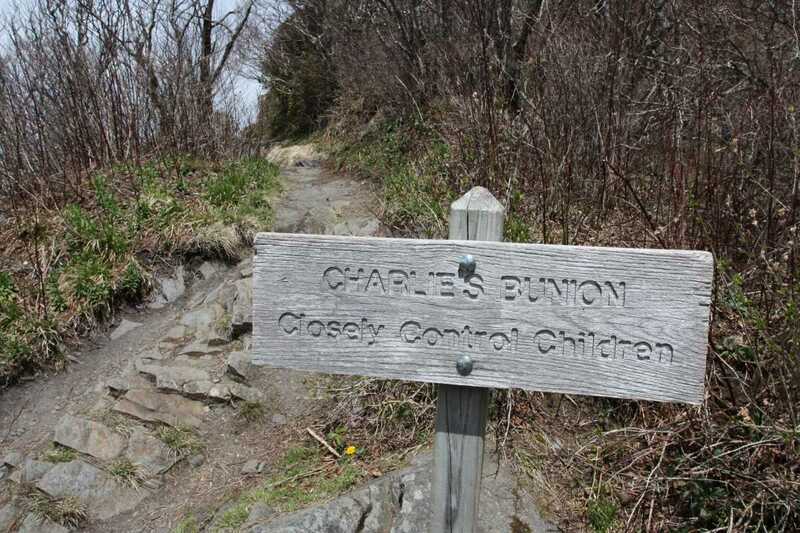 A sign indicates the short side trail to Charlies Bunion from the AT. 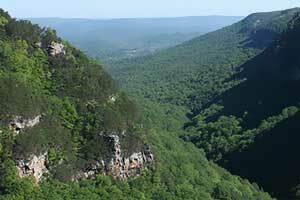 Walk along the cliff edge to the large rock outcropping that provides 270° views. Mt. 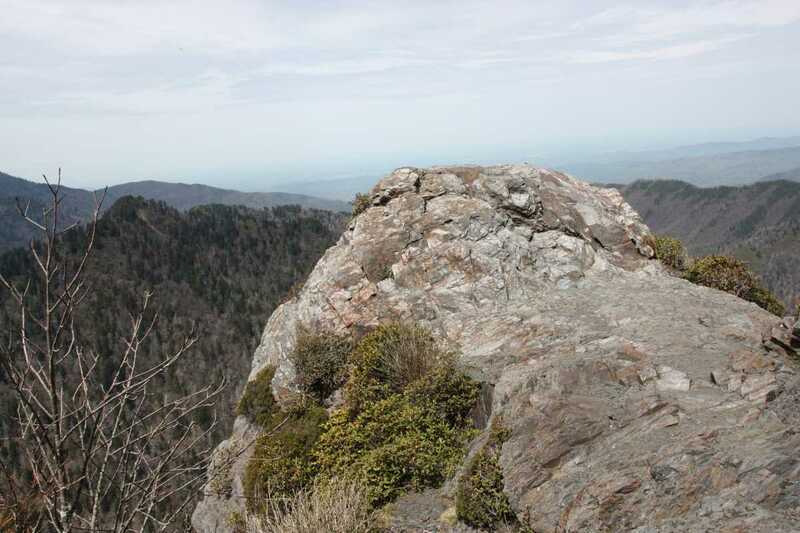 LeConte is clearly visible as the high point to the left and parts of Gatlinburg can be seen in good weather straight ahead. Don’t expect to have the Bunion to yourself unless you go during the week, a small crowd be a constant during the weekends. 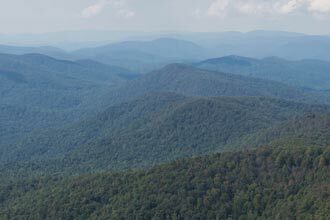 For up to date park and road closures, visit GSMNP Alerts or follow @SmokiesRoadsNPS on Twitter. 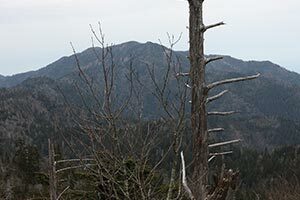 The section around and including Charlies Bunion has very steep drop offs. Pay attention to children. 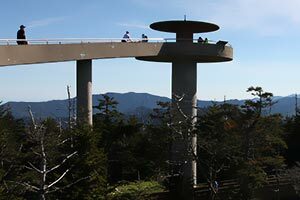 This is a must in the Smokies. A quintessential hike. Just do it.